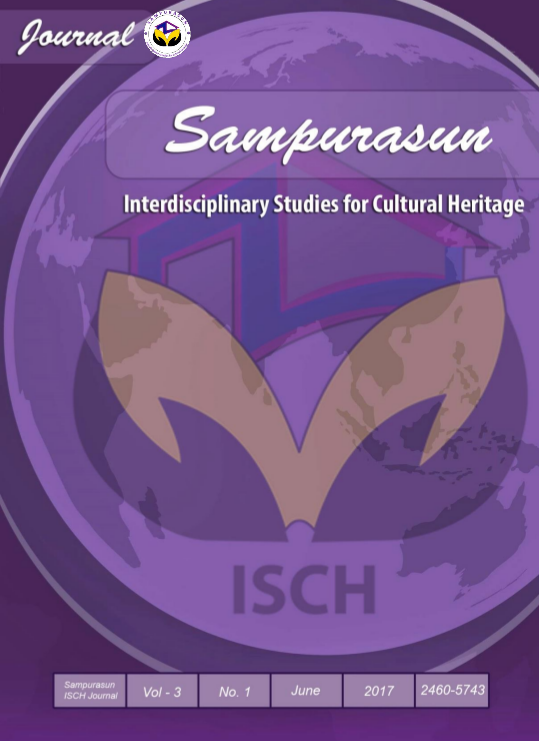 SAMPURASUN Interdisciplinary Studies for Cultural Heritage (ISCH) with e-ISSN: 2460-5743 and ISSN 2460-5735 for printed version established in 2015, is an international refereed journal with the main theme is cultural heritage. It is a double-blind peer-reviewed scientific journal, published by Research Institute of Pasundan University, and supported by University of Northern Philippines (UNP). The scope encompasses the thematic as follows: Social and Humanity: Social Work, Sociology, Law, Education, Public Administration, Business Administration, Management, Culture and Art, Anthropology, History, Women Studies, Hospitality and Tourism. Socio Technical: Environment, Informatics Engineering, Urban and City Planning, Industrial Technology, Food Technology, and Architectural. Journal Sampurasun Interdisciplinary Studies for Cultural Heritage (ISCH) with ISSN: 2460-5743 (e-ISSN) and 2460-5735 (print) is an international refereed e-journal written in English. It is a double-blind peer-reviewed, published in two issues per year (June and December) and scientific journal published by Pasundan University and University of Northern Philippines (UNP). This journal is being organized and collaborated for the first time by two higher institutions of learning from the ASEAN Region. The purpose of the journal is to bring a wide spectrum of participants to disseminate research findings of academicians, national and local government units, non-governmental organizations, heritage conservation practitioners and planners, tourism organizations, and the media. 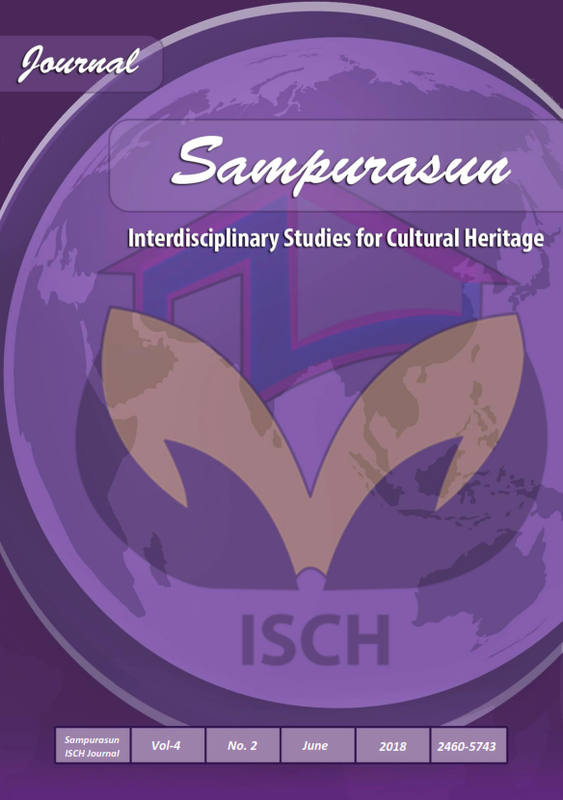 Specifically, ISCH intends to discuss and exchange knowledge on preservation and revitalizing culture, values, and best practices of people in the world. ISCH also caters to recent challenges and opportunities for saving treasured culture and values. Its scope encompasses the thematic as follows: Humanity: Hospitality and Tourism, Law, Sociology, Social Work, Education and Women Studies Governance: Public Administration, Business Administration, Management, Local Governance, Urban and City Planning and Environment. Heritage Conservation: Culture and Art, Architecture, Anthropology, History, Food and Culinary Art. SAMPURASUN Interdisciplinary Studies for Cultural Heritage (ISCH) with ISSN 2460-5743 (e-ISSN) and 2460-5735 (Print) is an international refereed journal. It is a double-blind peer-reviewed, scientific journal, collaborated and published by two higher learning institutions from the ASEAN Region, Universitas Pasundan (UNPAS), Bandung City, West Java, Indonesia and University of Northern Philippines (UNP), Vigan City, Ilocos Sur, Philippines. The journal is published in English and in two issues per year (June and December). It is indexed in Garuda Portal (Directorate of Higher Education Indonesia), Directory of Open Access Journal, Goggle Scholar, and Philippine E-Journal.VISION A refereed journal of an international caliber focused on the preservation of cultural heritages and values.MISSIONTo generate knowledge on the preservation of various cultural heritages and values through research dissemination and collaboration among heritage cities of the world. 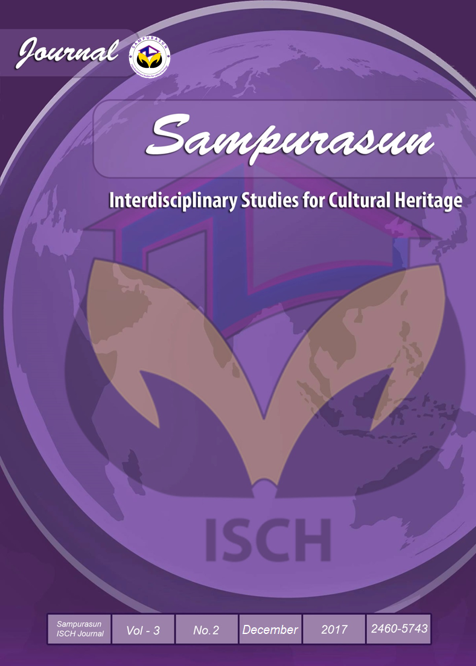 Sampurasun ISCH is a peer reviewed International Journal in English published two issues per year (June and December). This journal is being organized and collaborated for the first time by two higher institutions of learning from the ASEAN Region, The purpose of the journal is to bring a wide spectrum of participants who disseminate research finding of academician, national government, local government units, non-governmental organizations, heritage conservation practitioners, planners, tourism organizations, and the media through the world.Specifically, ISCH intends to discuss and exchange knowledge on revitalizing cultural heritage sites, best practices on cultural heritage sites, conservation and preservation, and recent challenges of and opportunities for saving valuable cultural heritage sites. The journal highlights is the presentation of successful experiences of researcher and local government officials in the conservation and preservation of cultural heritage sites abound in their respective units.